For those who would like to relax, they can relax by the pool or in the gardens. Some guests also like to spend a relaxing day at our “exclusive rocky cove Muleta”. We offer Massage and Beauty Treatments. 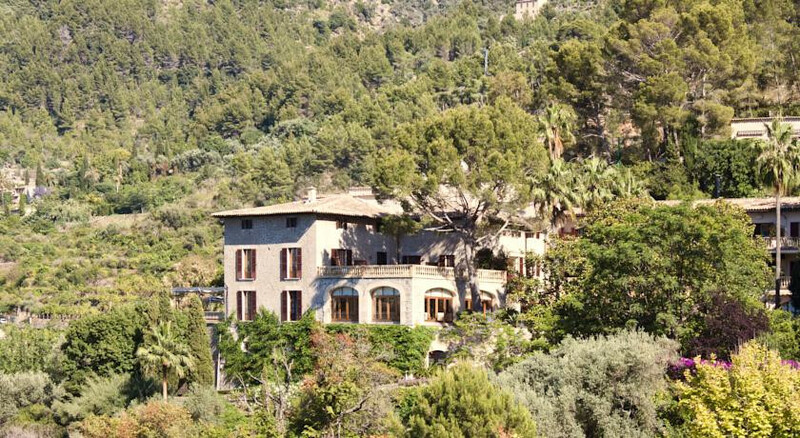 o Visit the village of Deia (700meters walking distance), do not miss a visit to the Robert Graves House and Cala Deia. o Visit “Na Foradada”, “Son Marroig” and the “Monastery Miramar” (just 3 km from the hotel). o Visit the Town Soller (Saturday Market), Puerto de Soller, Valldemossa or Palma. o The location is also ideal for cyclists. We offer an international Breakfast Buffet with many local products. Lunch is served by the Pool Bar and some snacks for Lunch can be ordered at our “exclusive rocky beach Muleta”. Dinner : the hotel offers Half Board (set 3 course Menu) and also a la Carte Menu at the Restaurant Bouganvilia. From the 1st of June until the 30th of September the Tapas Bar at the Deia Terrace (with panoramic views over the village Deia, the mountains and the sea) is open 6 days a week. From the 1st of May 2014 we will reopen our Restaurante Ca´n Quet, which is located 50 meters (walking distance) from the Hotel. This Restaurant will be open every day except Tuesdays. There are many places to eat at the village of Deia: Restaurant Sebastian, Village Café, Xellini, etc…. Double or twin room with balcony in the main building, the reason is the view.